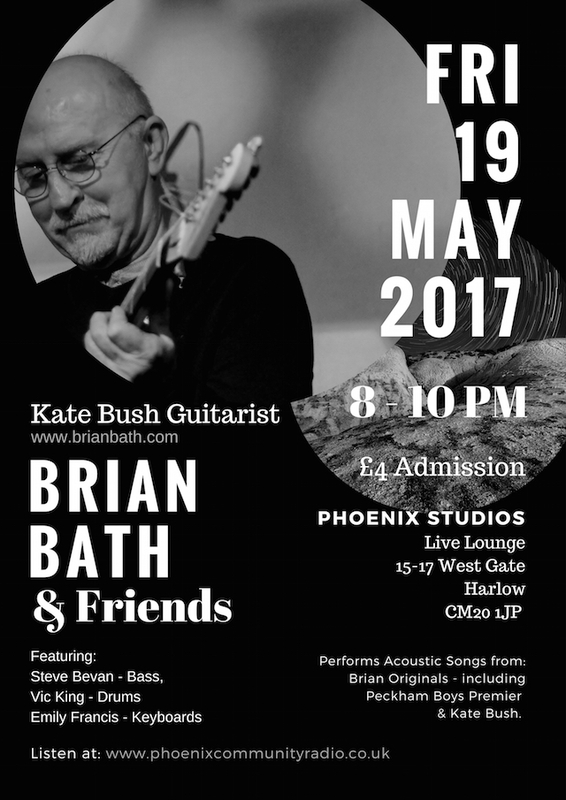 Our friend Brian Bath will be performing new and exciting work on Phoenix Community Radio on Friday 19th May, 8pm-10pm, and we’re very happy to spread the word! Brian will perform some of his own songs and even some of Kate’s. The concert will also feature founding member of the KT Bush Band, Vic King. £4 admission. Details in the poster below. You can listen live via the station’s website.